《The Eternal Love 2》Ep13：the eight princes perceived the imperial concubine's false pregnancy from his diet. When eight Lord ye and song small sandalwood enter the palace, see palace ladies carry a lot of precious food to pass by, ask to know these are for the imperial concubine prepare. Send the imperial concubine to have the pregnant imperial concubine to need to fill, and every time send a meal can see the pregnant imperial concubine to vomit not only, more strange is, pregnant queen still night and night with emperor huan hao. Small sandalwood to see inside have crab this kind of cold cool thing is very strange, besides the woman pays attention to appearance how can let a person see oneself pregnant vomit again and again, this is really without reason. The eight wang hear the analysis of small sandalwood also can't help to be suspicious, two people don't know is, their talk was heard by the snow in the imperial concubine's palace. In order to cover up the false pregnancy, the imperial concubine, in addition to the pregnancy, secretly called the male pet to increase the pregnancy rate. The male pet is beautiful, two people in the hibiscus account of dian luan pour feng, very not happy, until outside spread the bell, this is the emperor to want to signal, the male pet just left in a hurry. At this time, looking for snow will eight wang fei suspected the matter of the false pregnancy to inform, the independence of the imperial concubine early heart health dissatisfaction eight wang ye, resolve to take advantage of him. Eight wang fu study, eight wang ye presented himself to the map to get the emperor summoned, but was disturbed by the imperial concubine told Liu Shang . 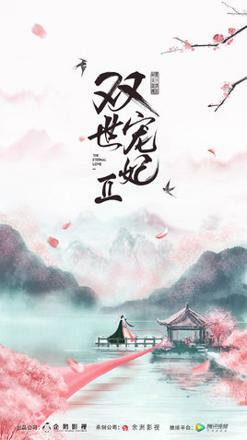 Qu xiaotang in the side burn incense serving, watching eight wang ye and Liu Shang get along with each other more and more, the head can not help thinking. Liu Shang is not discouraged by the failure of the plan, and insists that it can be put to rout simply by catching the princess's weakness. Eight wang ye hear this speech, let qu xiaotan will today in the palace found the imperial concubine eating habits strange to tell, speaking of children, Liu Shang association of the past when tan son child, not some disgraceful, he thought of the imperial concubine was not born, concluded that the imperial concubine must be fake pregnancy. The next morning, when she went to her study, she found him watching a painting. She began to do early lessons when she heard about him. She could not help feeling that he was indeed an excellent student. Eight wang ye hears the word of the student with outstanding achievement very confused, qu xiaotong knows oneself to say again leak mouth, have to explain a random, ask eight wang ye why the early morning admire oneself of painting. Eight wang ye explained that this picture of the dragon out of the clouds is his youth, the ambition is placed in the picture, if people see the wrong, so want to take up the early. He's explaining here, but little sandalwood has a lot of imagination, if Mo LianCheng Really and eight wang ye is a person, it is a science fiction blockbuster. Eight wang ye see her face with a smile to ask her why, qu xiaotang casually pulled out Liu Shang, who knew that the name just said, eight wang ye suddenly pull her, hold her waist jealous way he let her to monitor Liu Shang, is not let her always put him to heart, so long, she still do not understand his mind?He was so stunned by his behavior that the eighth Lord said he would not force her because he wanted her heart and he would wait. Then, the eight princes leave unrestrained, leave the song small sandalwood which was expressed in the same place to cry and laugh. The royal family hosted a banquet for the prince, who wanted to continue his friendship with dong yue. On the banquet, big wang has been staring at the song xiaotong to look, eight wang ye remind him discontented not to stare at his woman, two people are in contention for jealousy, one side of the unique imperial concubine suddenly proposed to let the big wang and eight wang ye compete on the equestrian shot, the winner can na song tan son for concubine. Late at night, eight wang ye was reading at the window, suddenly an arrow pipe out of the window, eight wang ye was impaled by fine needle on the neck immediately fell into a stupor. The next day, Yu Hao Liu Shang heard that something was wrong. He rushed through the door and saw him faint on the bed. Qu xiaotang saw this scene immediately finished, today is the day to fight against the great wang ye, if you do not fear the crime of deceiving the Lord, Liu Shang first let Yu Hao take the song xiaotong to the firing range, he left to wake up eight wang ye. Soon, he found out that one of the eight princes was the western domain needle, the poison was at least a night and a night, Liu Shang thought again and again, I'm afraid that this time he had to go. Before the match, the fragrance was about to burn out, but the emperor did not appear yet. The emperor looked ill, and the imperial concubine was added to the side. At this time, only the sound of horseshoe could be heard, and the visitor was Mo LianCheng. Mo LianCheng claimed that he had driven away the wild animals around the shooting range for the sake of the emperor's safety. Ring drum sound, the game began, only to see the big wang galloped up the horse galloped around the field and then pulled out the arrow shot, indeed as expected the center of hearts.